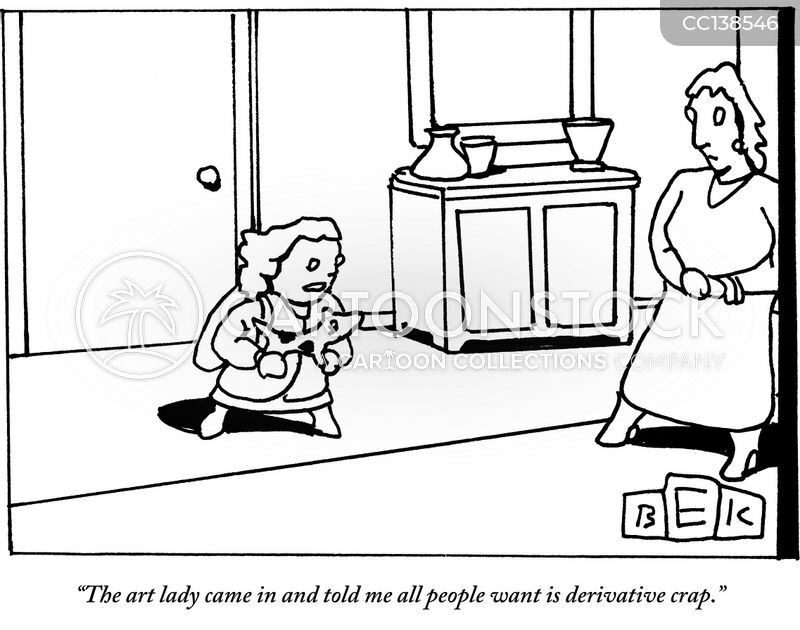 "The art lady came in and told me all people want is derivative crap." 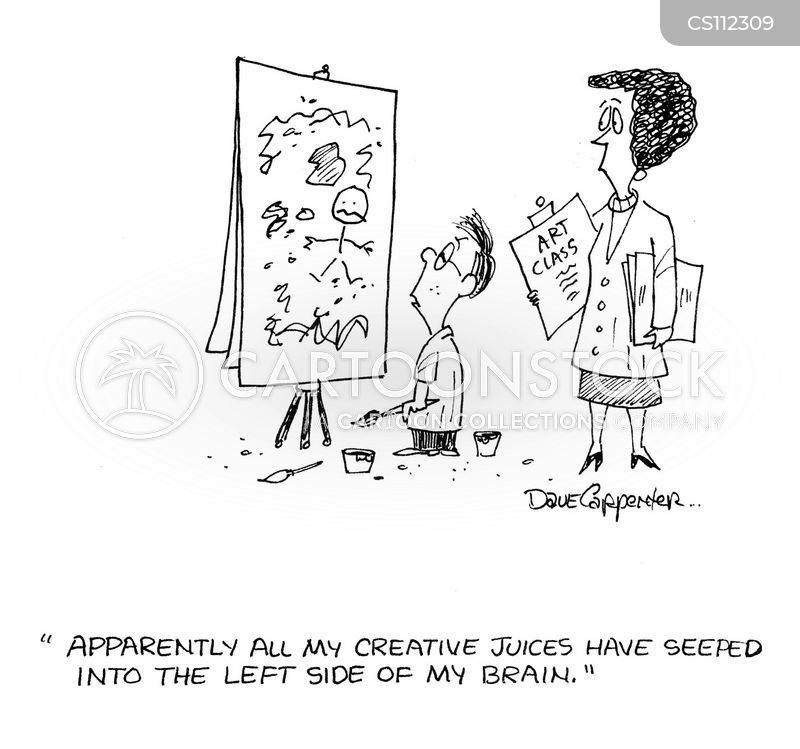 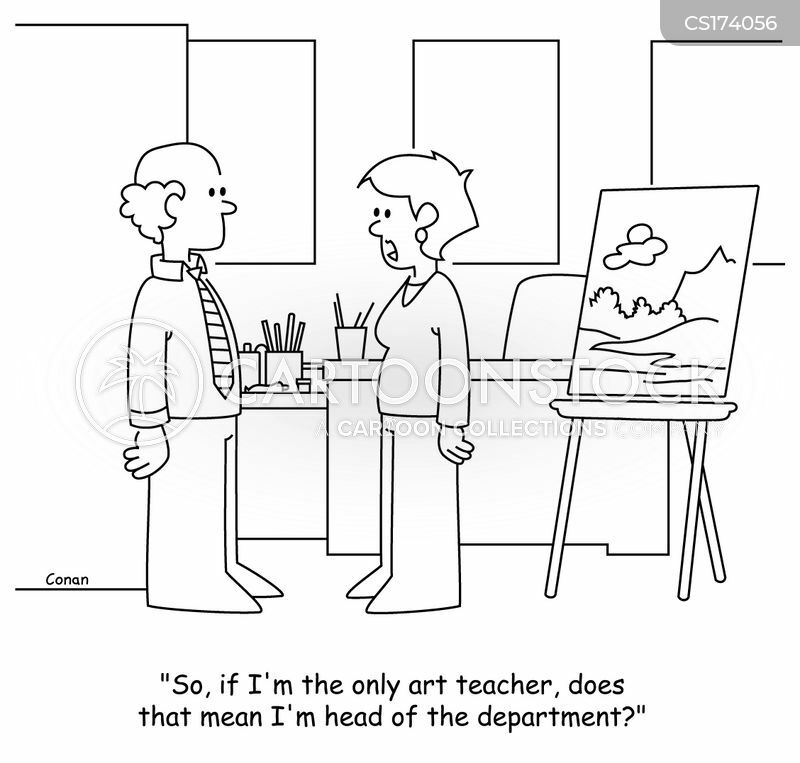 "So, if I'm the only art teacher, does that mean I'm head of the department?" 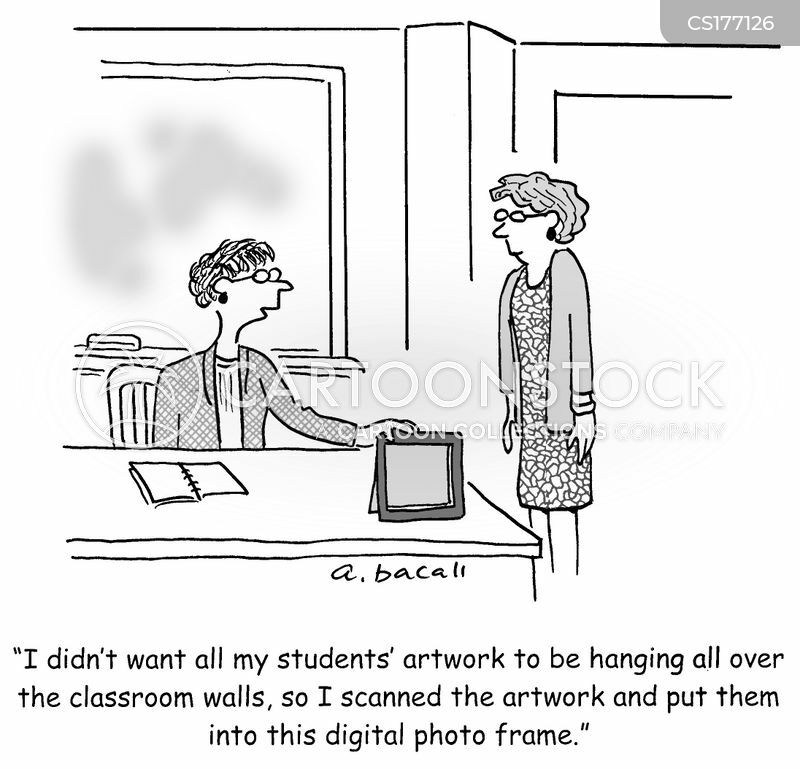 "I didn't want all my students' artwork to be hanging all over the classroom walls, so I scanned the artwork and put them into this digital photo frame." 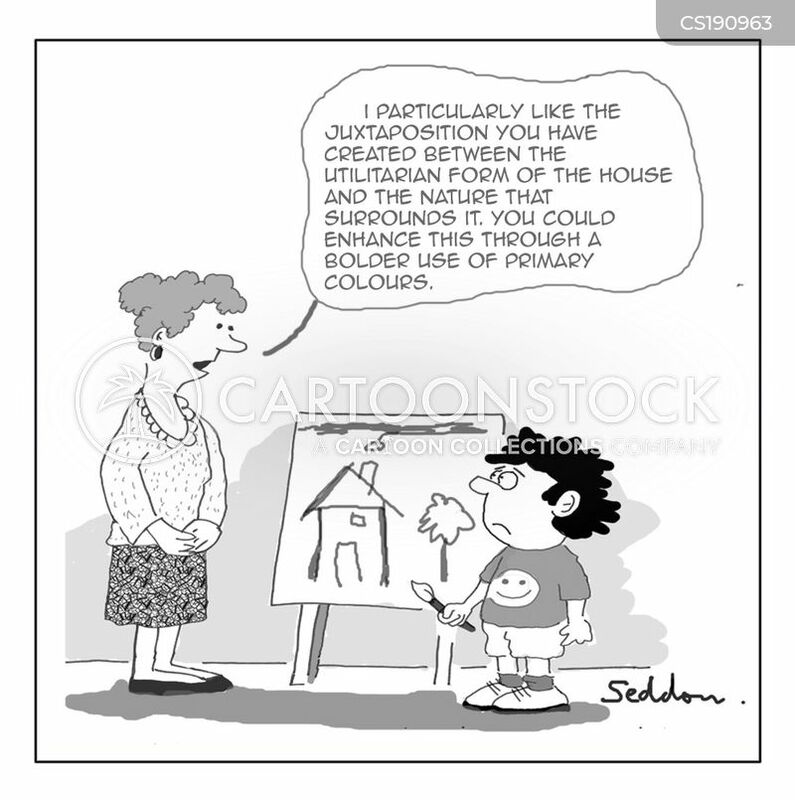 "I particularly like the juxtaposition you have created between the utilitarian form of the house and the nature that surrounds it. 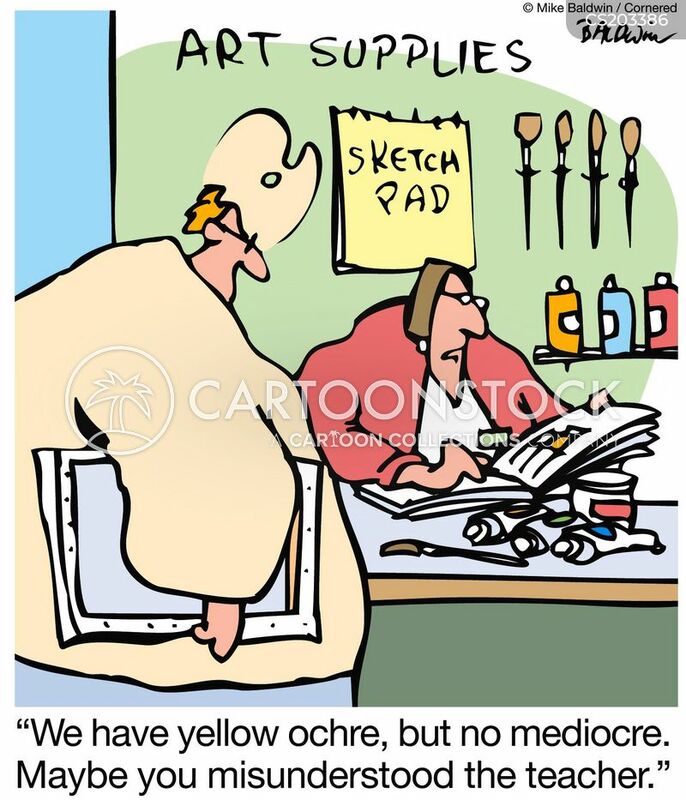 You could enhance this through a bolder use of primary colours." 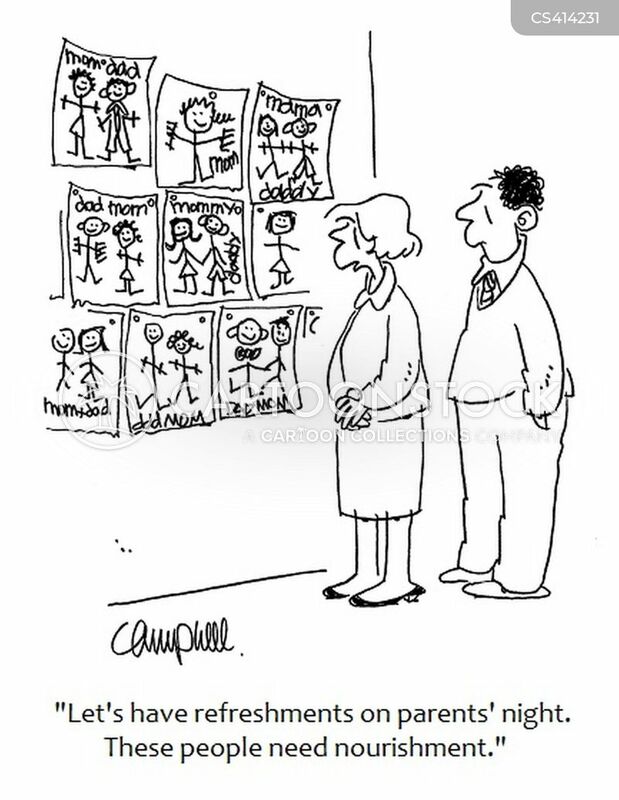 "And if you'd like your artwork displayed please include a brief bio." 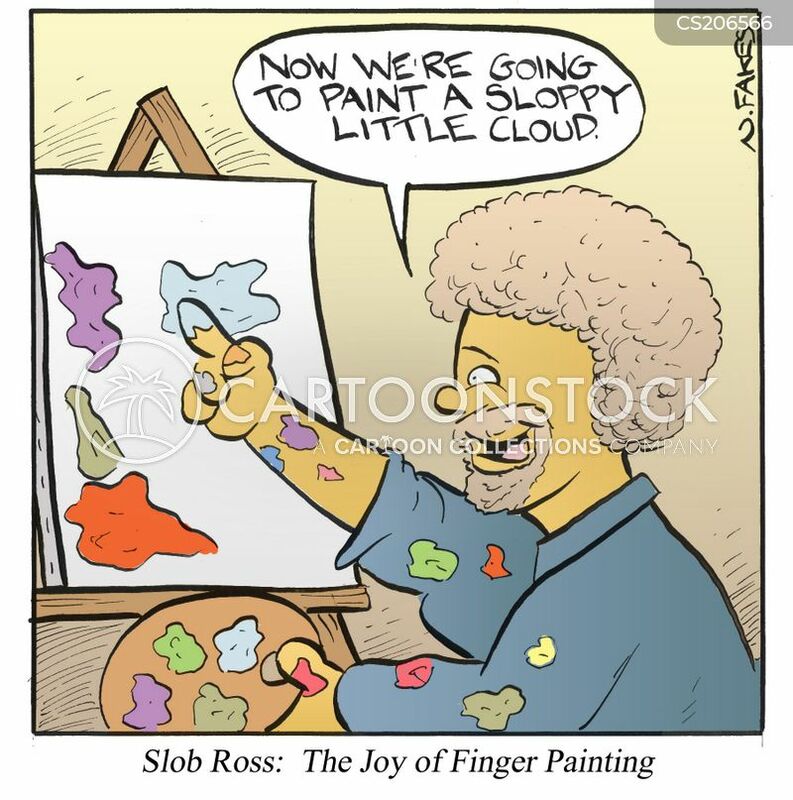 Slob Ross: The joy of finger painting. 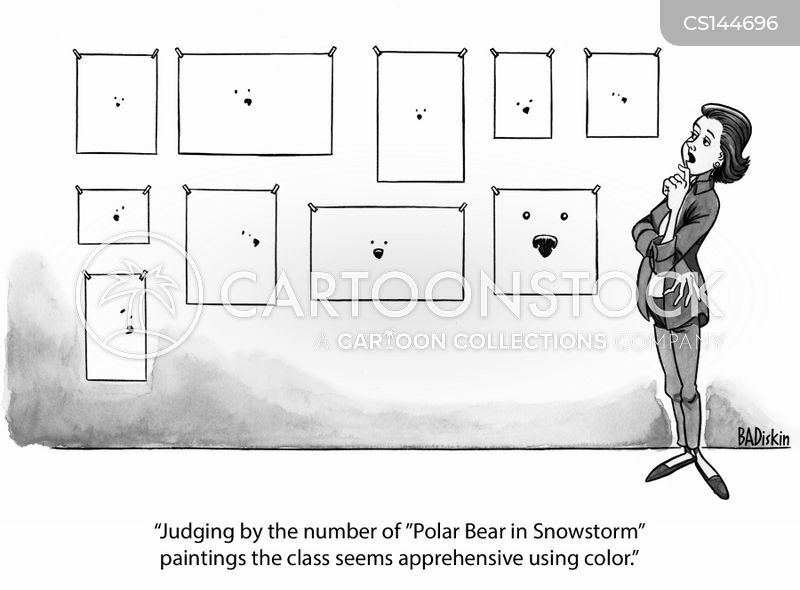 "Judging by the number of 'Polar Bear in snowstorm' paintings the class seems apprehensive using color." 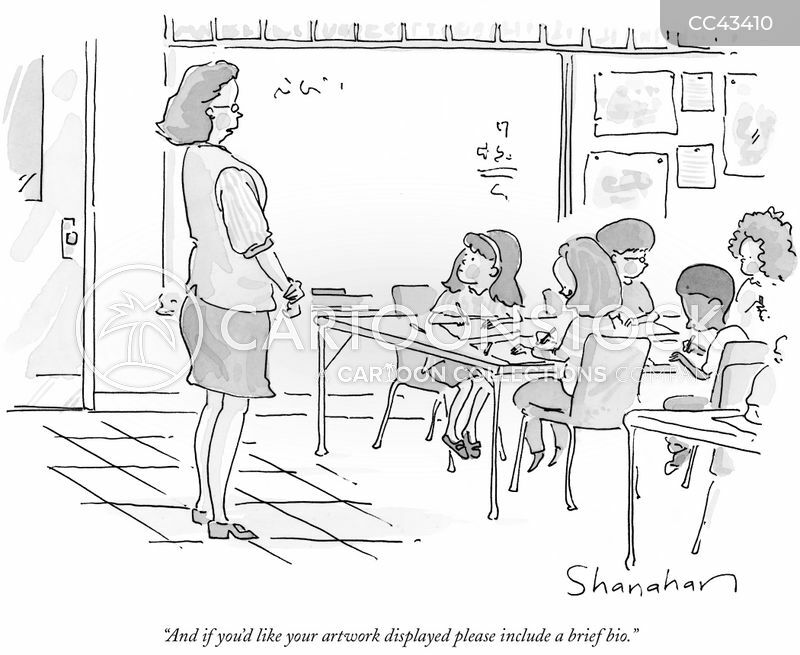 "Let's have refreshments on parents' night. 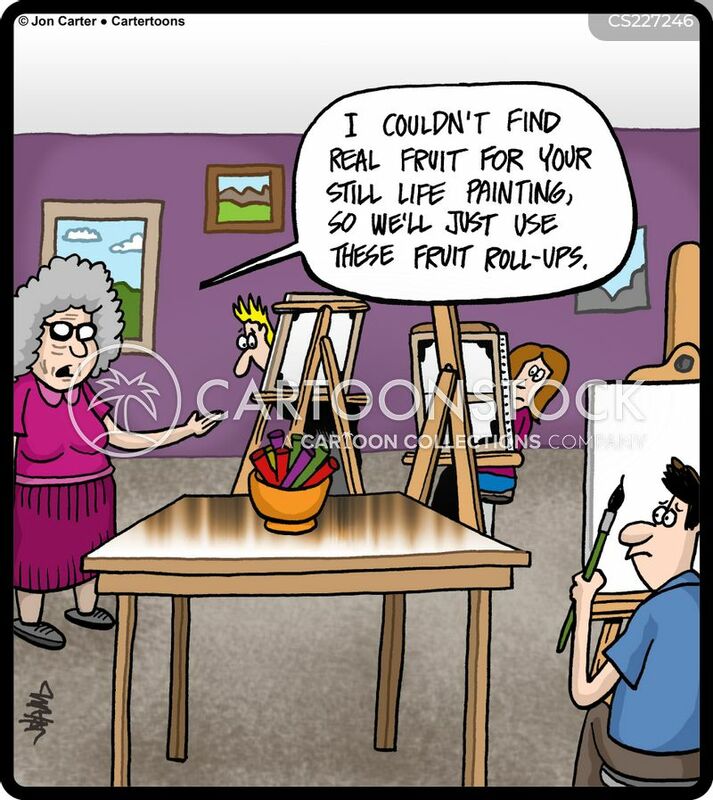 These people need nourishment." 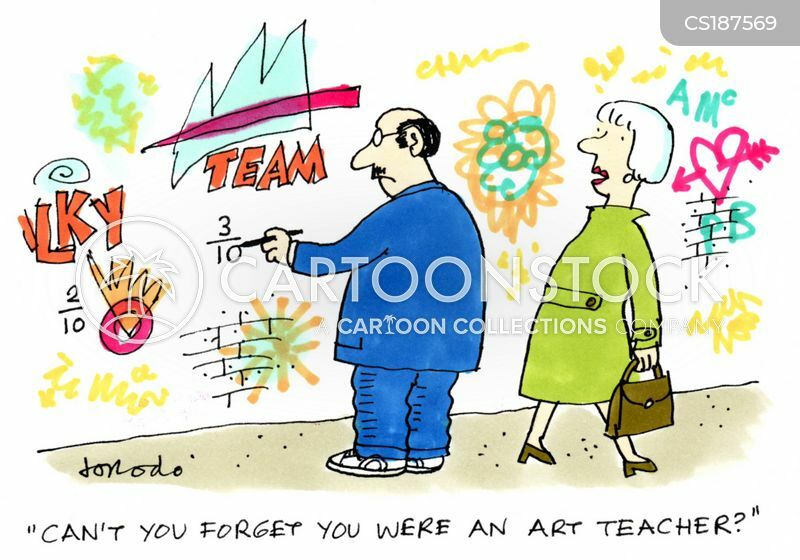 "Miss Gordon's morning classes, and of course, Miss Gordon's afternoon classes." 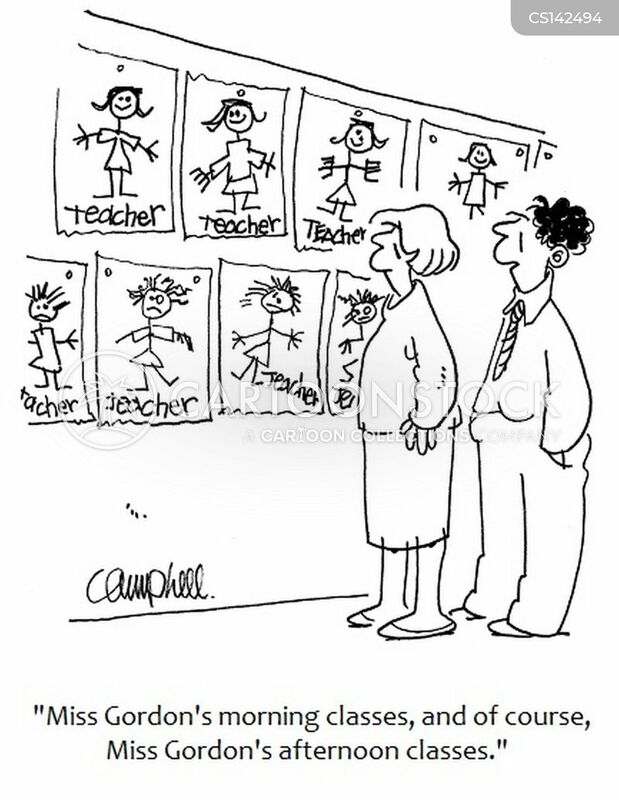 "I was a primary school teacher. 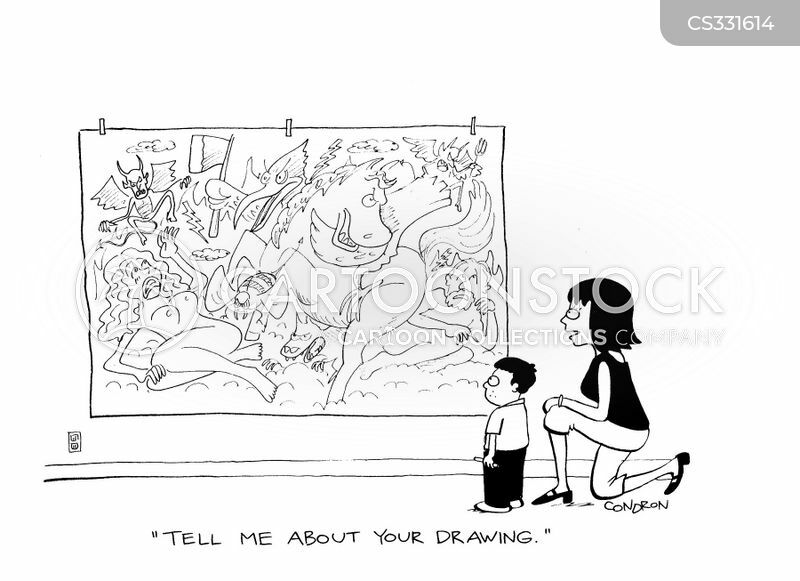 What did you do?" 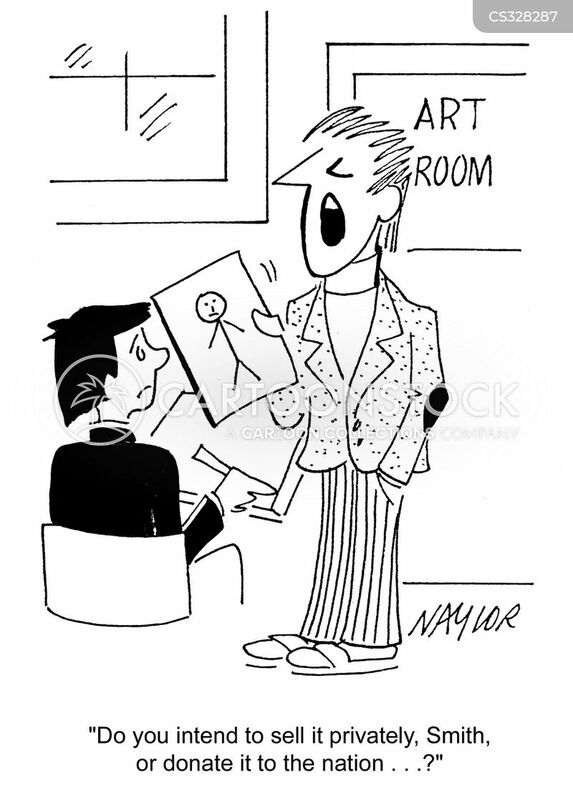 "I see the art budget's been cut again." 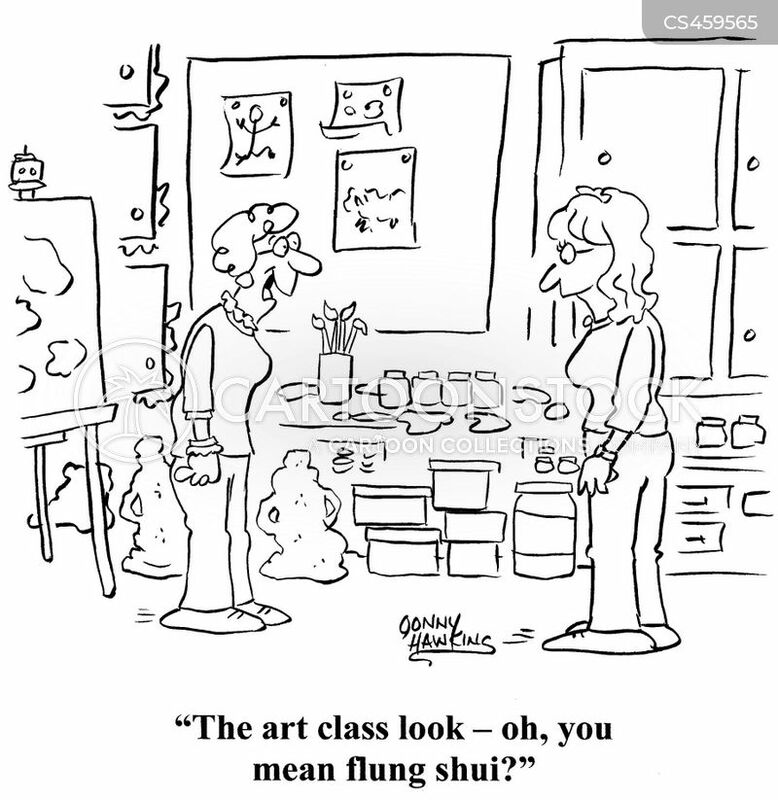 "The art class look - oh, you mean flung shui?" 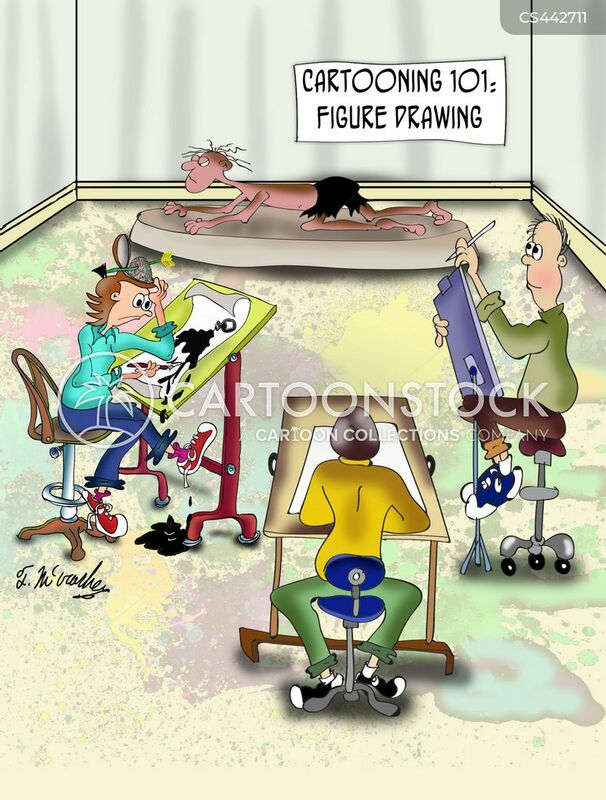 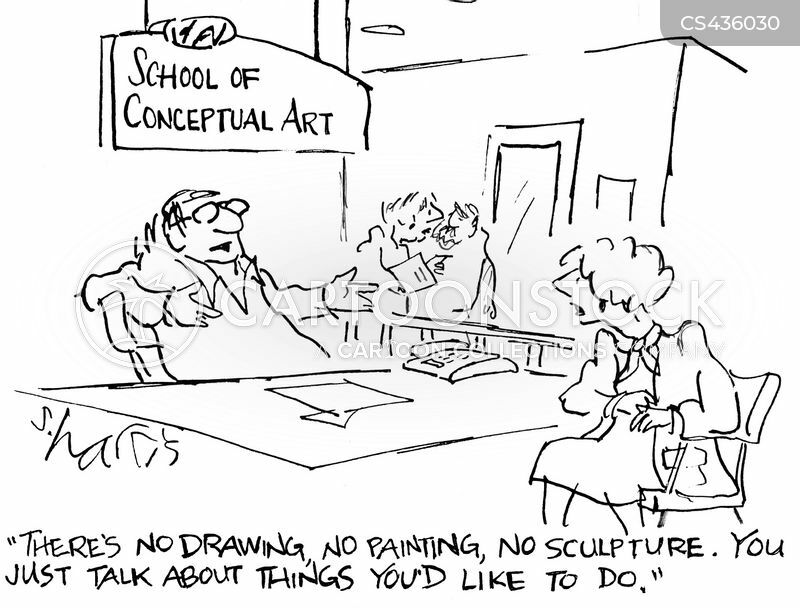 "There's no drawing, no painting, no sculpture. 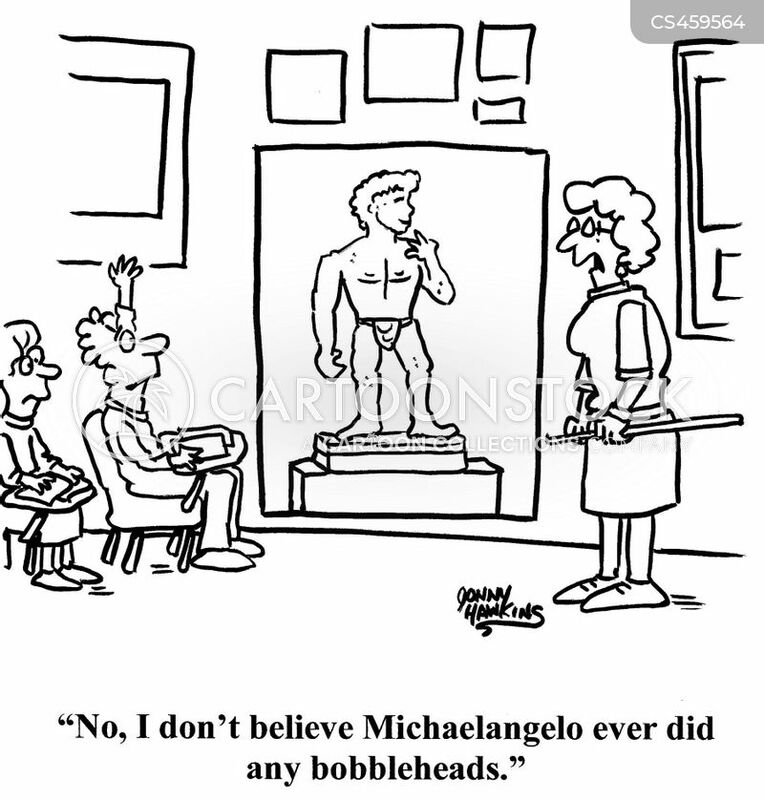 You just talk about things you'd like to do"
"No, I don't believe Michaelangelo ever did any bobbleheads." 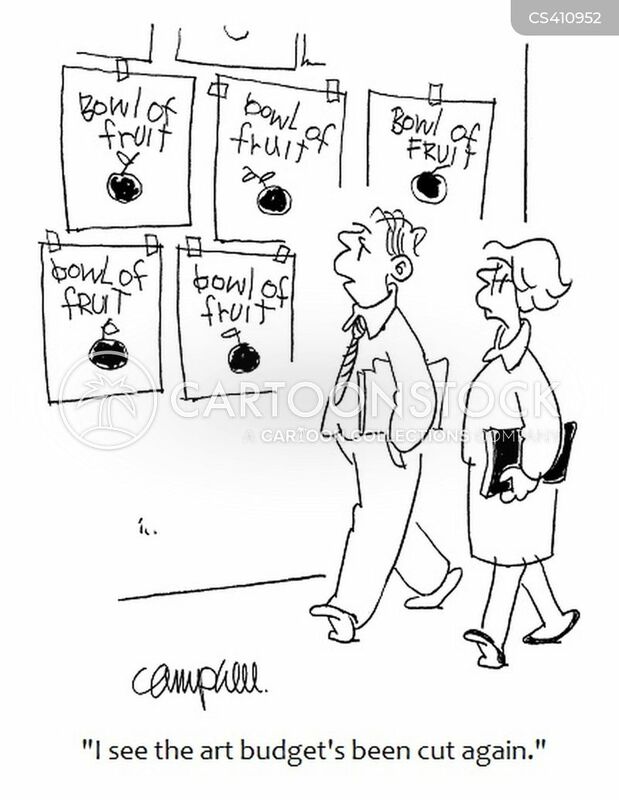 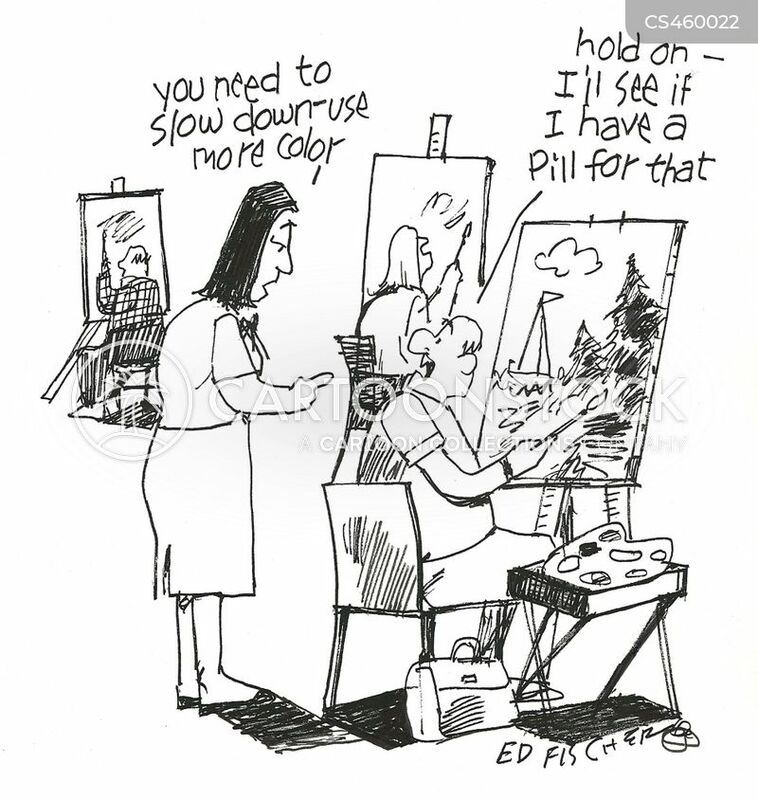 "Hold on - I'll see if I have a pill for that." 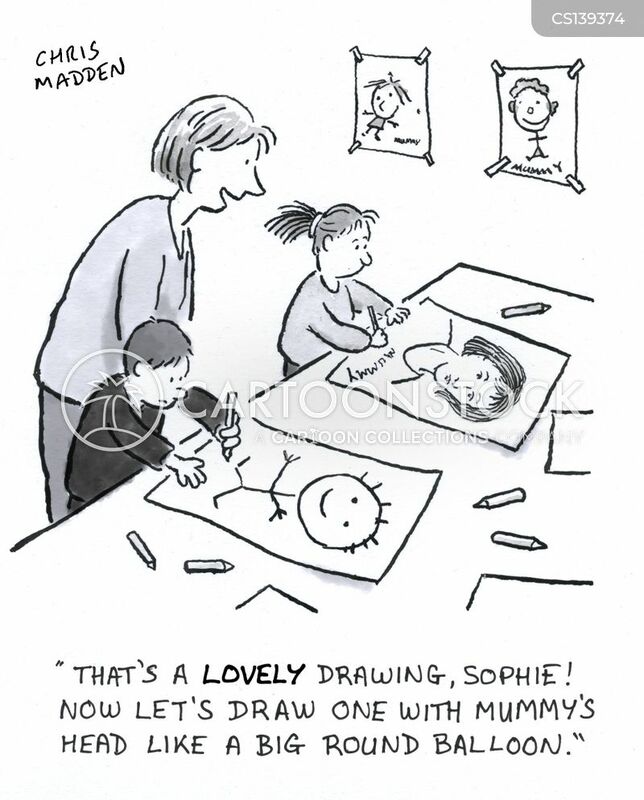 "That's a LOVELY drawing, Sophie! 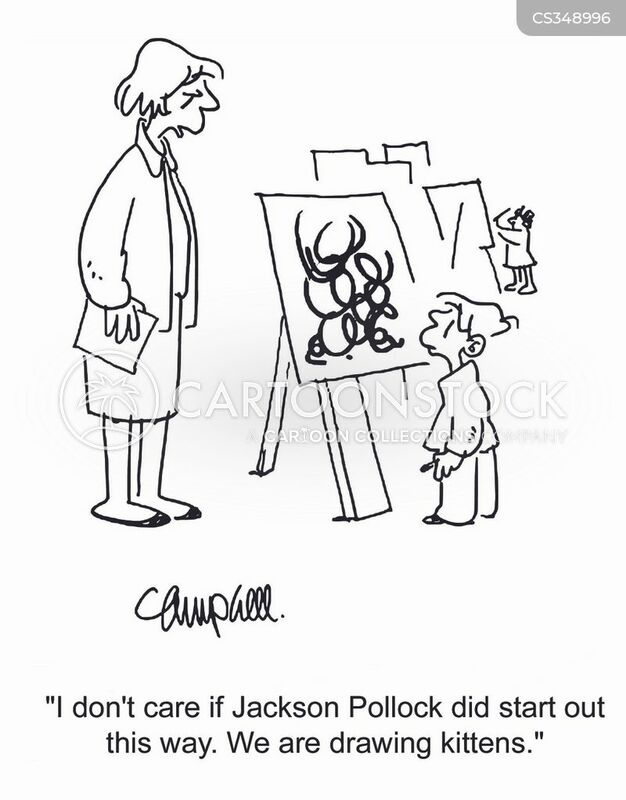 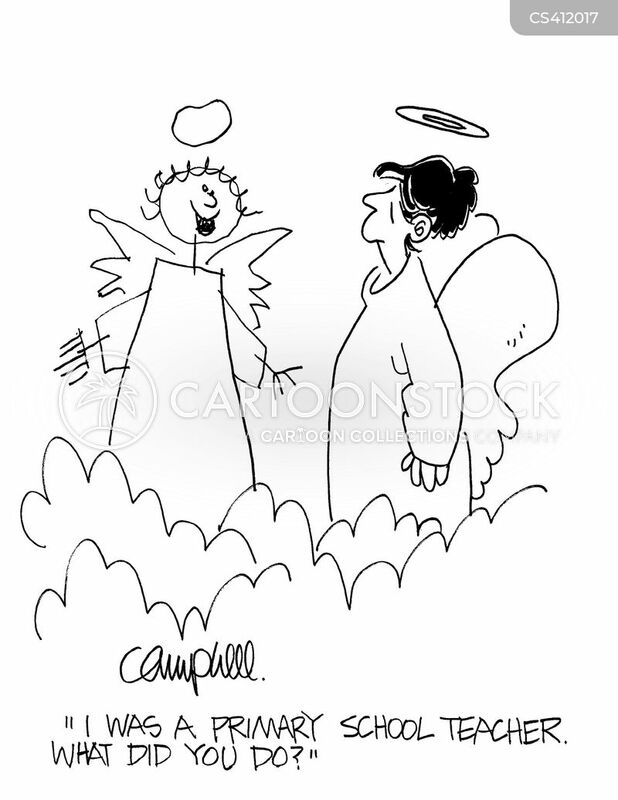 Now let's draw one with mummy's head like a big round balloon."